Wanted to do this for a while. Had the idea for a stubby looking 50 cal rifle. 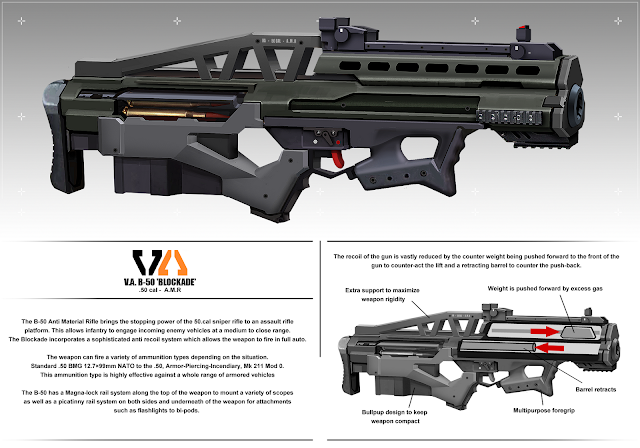 used a Barret sniper rifle for the base shapes then played around with the shapes until i got the overall design down. My idea was that it would be used for disabling approaching enemy vehicles without the need for a50.cal machine gun or sniper rifle. 17.1704 mm or .676 caliber cartridge, fashion similar to the .338 Lapua Magnum. Retracting barrel reduces power received, your losing it when you drop the recoil pulling away. The counter weight block is very useable. Larger and faster AMR bullets have trouble getting that rotation, try polygonal rifling that leads to smoothbore with intermittent gas tubes out and in to reintroduce the gas at an angle. smoothbore, a less rigid material allowing the pressure to expand the barrel but with higher tensile strength to return and push the gas along, does require a cool interlocked slate system around the barrel. Sustained fire has been a problem....all that over heating. I love your foregrip, 2 holds in one grip. could push the rear up a little, holding horizontal so far from the base gives instability side to side while aiming down sight. The structural support on the back does not seem to be bracing against any vital spots, just lower 1/2 inch down and its supporting the counter weight. 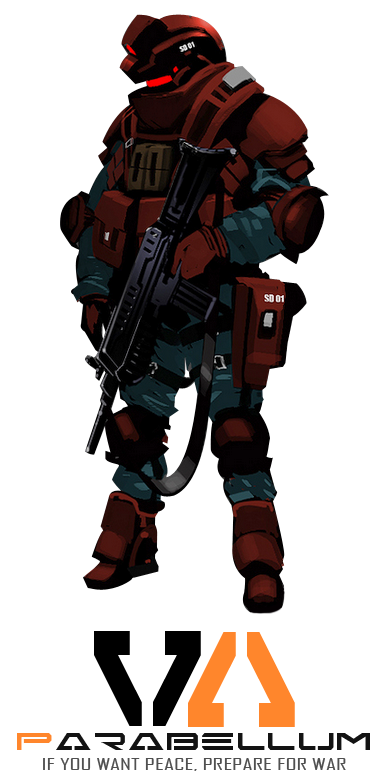 With the upcoming Powered Exoskeleton, a heavier design with larger magazines and/or feed would be splendid. Floating barrel just plain nasty. I'm using it in one of my story's. Thanks! !